I'm currently at NASA JPL in Pasadena, CA, as a permanent member of the Mobility and Robotics Section (see my JPL Homepage). 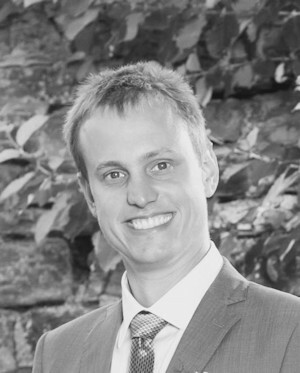 I am a visiting researcher in the Systems and Modeling Group (University of Liège, Belgium) and in the Computer Vision and Active Perception lab (KTH Kungliga Tekniska Högskolan, Stockholm, Sweden). 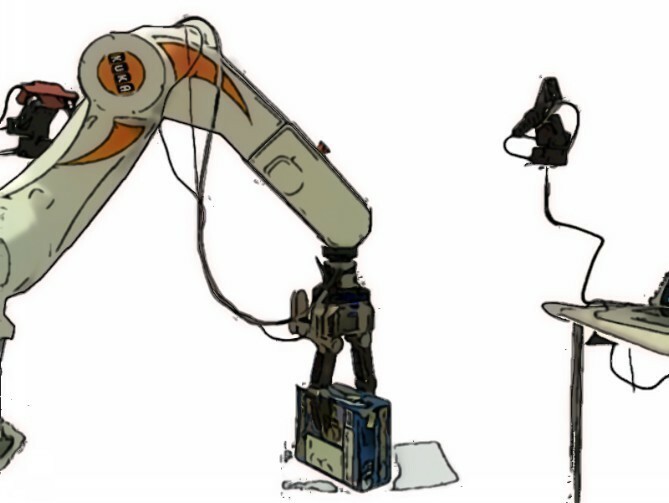 My research interests include robot learning, autonomous grasping and manipulation, computer vision, and machine learning. 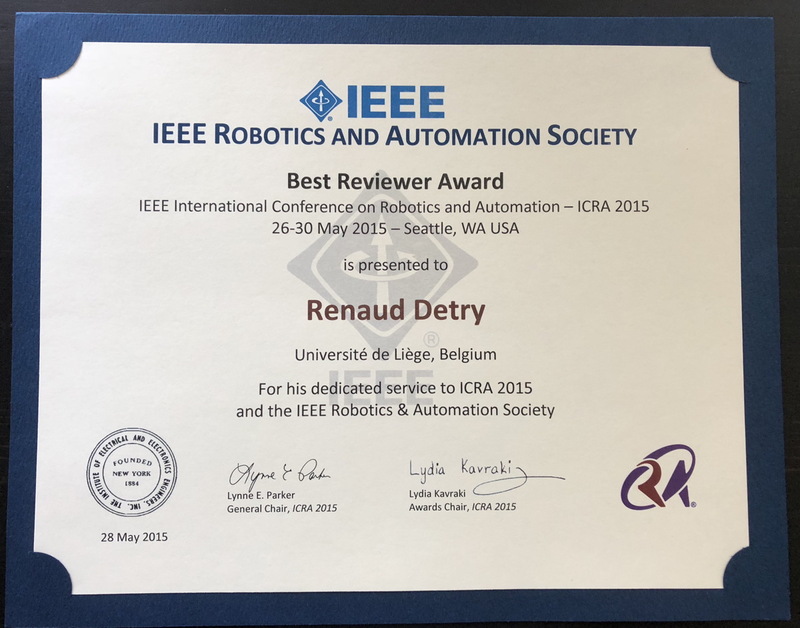 I am regularly serving as associate editor for IROS, ICRA, and as a reviewer for TRO, RAS, RSS and AURO. 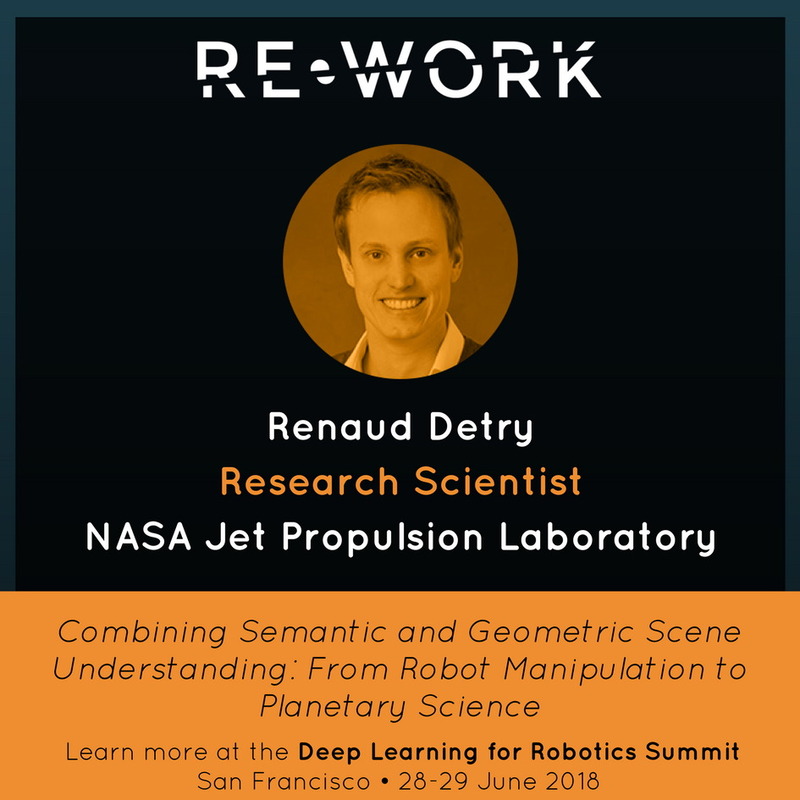 Presenting our work on task-oriented grasping and semantic scene understanding for planetary exploration at the Deep Learning Summit San Francisco! A pleasure to visit ATR again! 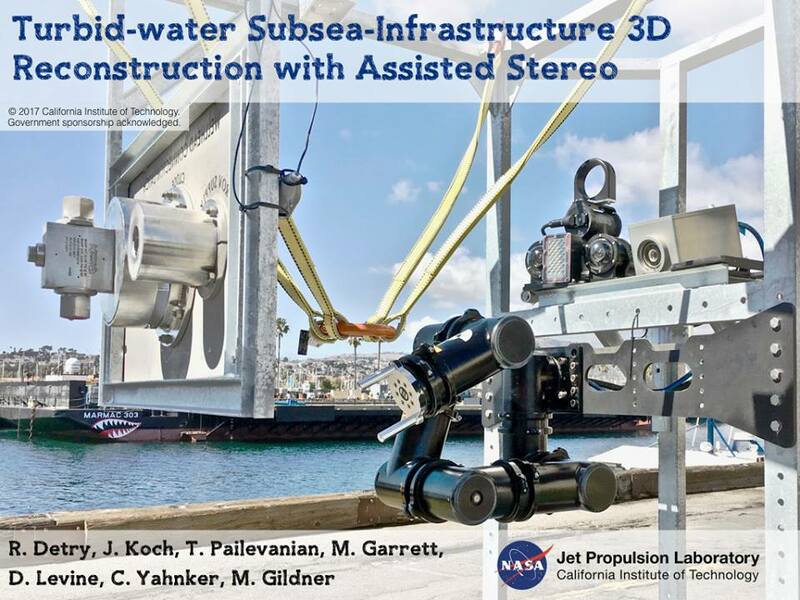 Presenting our paper Turbid-water Subsea Infrastructure 3D Reconstruction with Assisted Stereo at IEEE Oceans 2018 in Kobe! 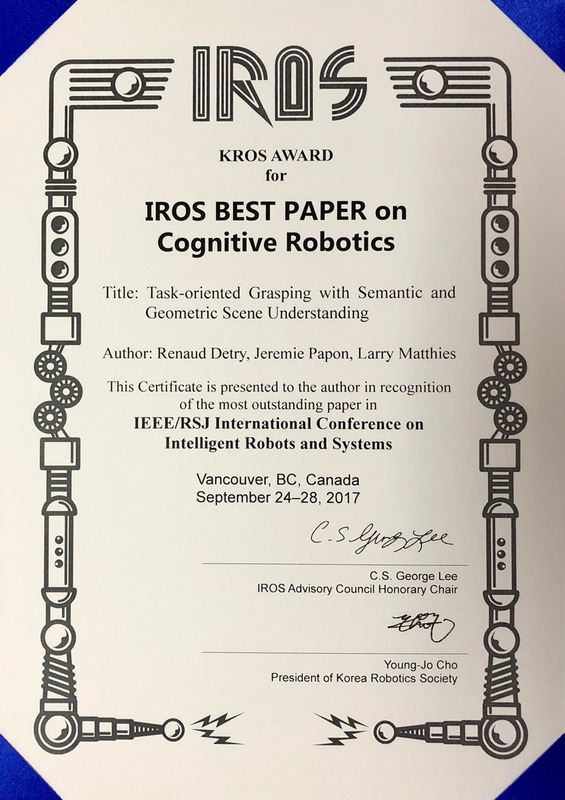 Our paper Task-oriented Grasping with Semantic and Geometric Scene Understanding received the Best Paper Award on Cognitive Robotics at IROS 2017! 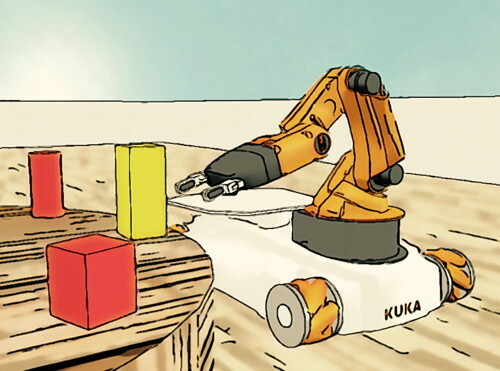 New demo: clearing up a table autonomously, using a grasp model that the robot has learn via demonstration. 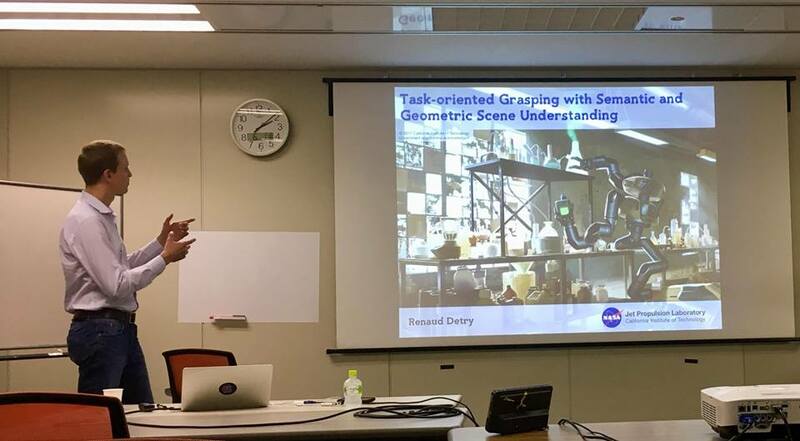 Clearing up a table autonomously, using a grasp model that the robot has learn via demonstration (More details). Download this video in MP4/H.264 or WebM/VP8, or view it on Youtube. 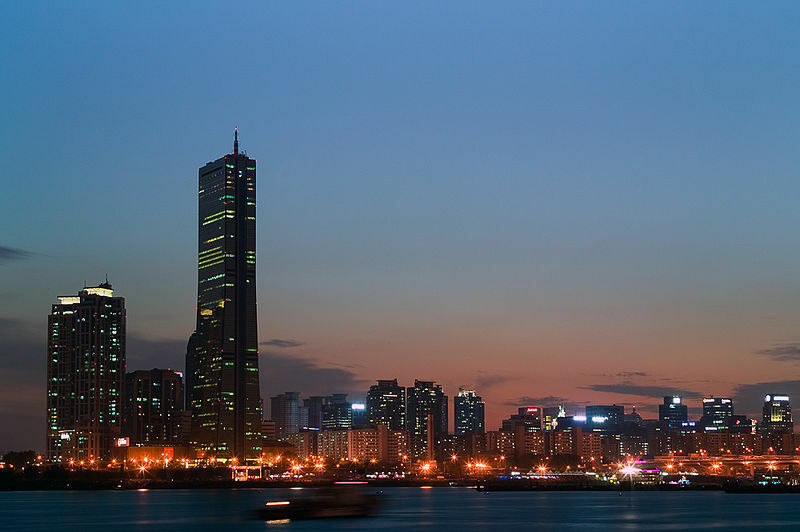 Upcoming TRS tutorial: Hamburg, Germany, September 2015, at IROS. 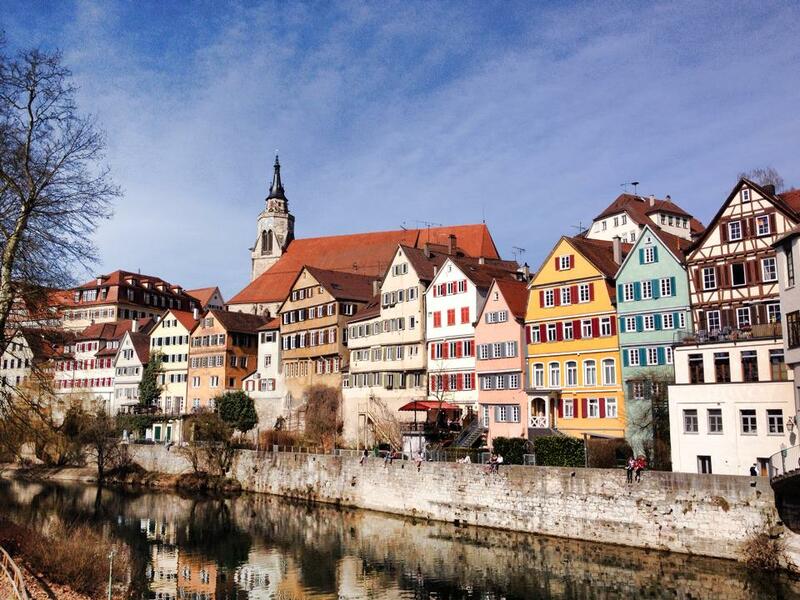 Very interesting visits to KIT Karlsruhe and MPI Tübingen this week. Thanks a lot Tamim and Alex Herzog! 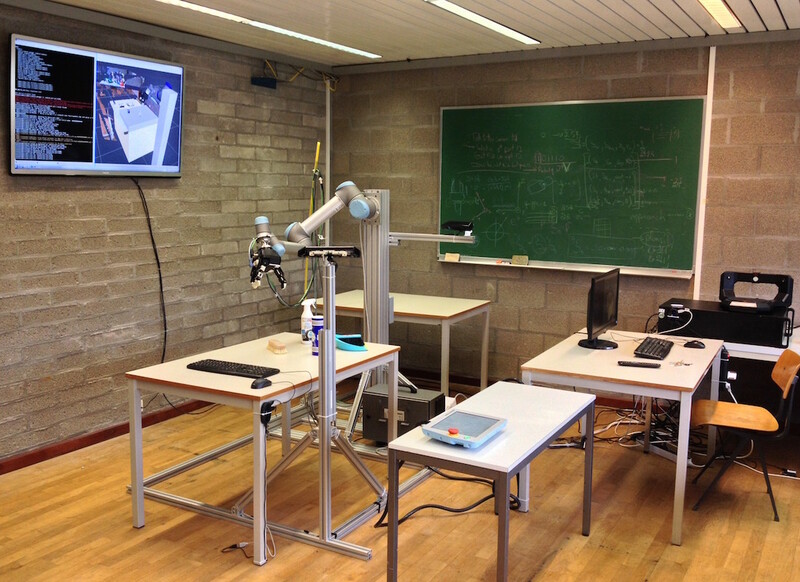 Our robot manipulation platform at ULg: Universal Robots arm, Robotiq gripper, ATI F/T sensor, two Kinects, and homemade aluminum structure. Thanks everyone for a great morning at IROS/TRS2014! Thanks everyone for a great day at ICRA/AG&M2014! Teaching-robotics.org is now online! Contact me if you would like to share teaching material. 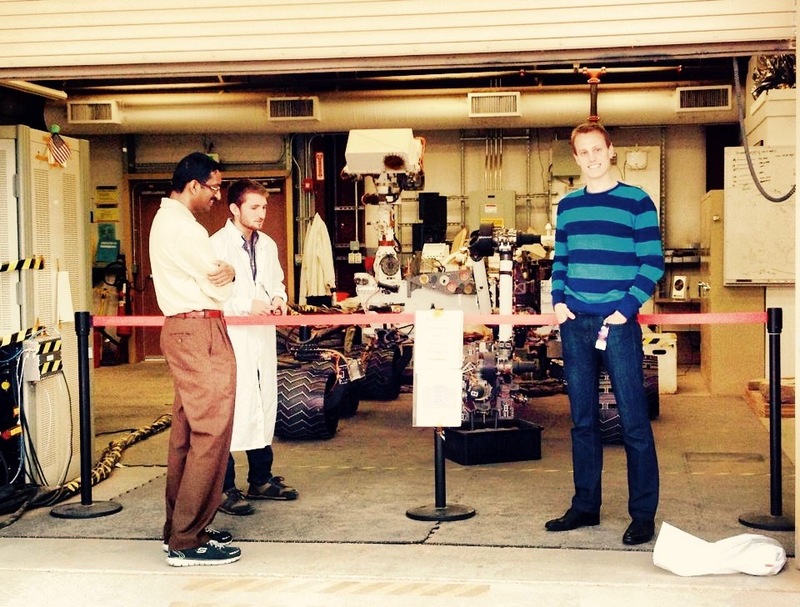 Take a look at TRS: An Open-source Recipe for Teaching/Learning Robotics with a Simulator! 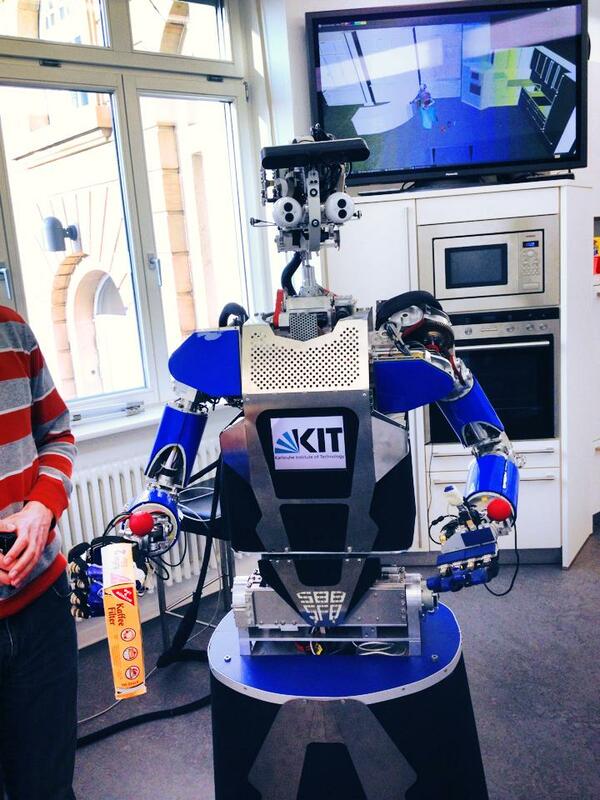 I will give a talk on teaching robotics with a simulator at the ICRA 2014 workshop: MATLAB/Simulink for Robotics Education and Research in June. Upcoming tutorial at IROS 2014 in Chicago: TRS 2014 – An Open-source Recipe for Teaching/Learning Robotics with a Simulator, setup a laptop in 5 minutes, write a control, navigation, vision or manipulation program in 100 lines of code. With Peter Corke and Marc Freese. 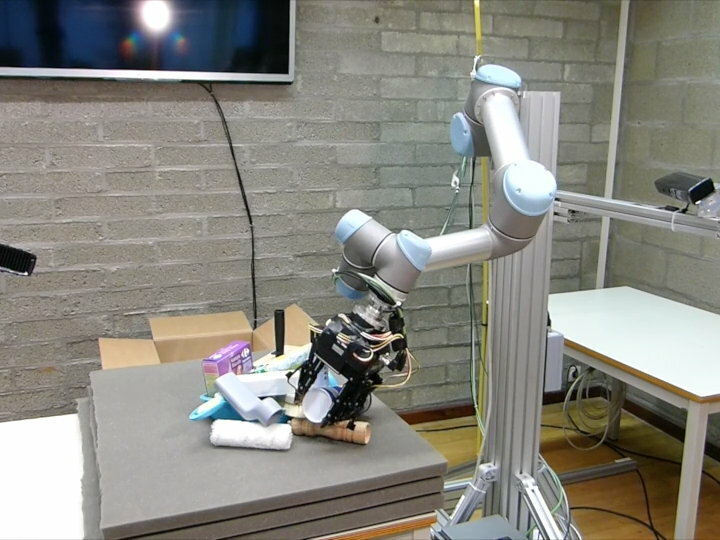 Our ICRA 2014 workshop AG&M 2014 – Autonomous Grasping and Manipulation: An Open Challenge has been accepted! We warmly welcome extended abstracts. 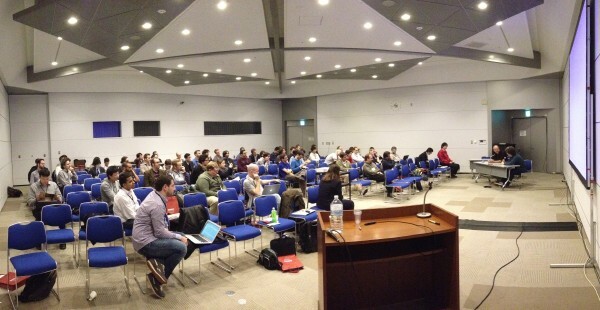 At ROSEC 2014 in Seoul, giving a tutorial on robot grasping. 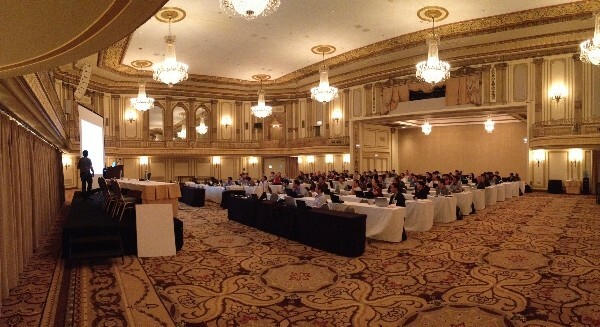 Thanks everyone for a great day at IROS/CRS2013! 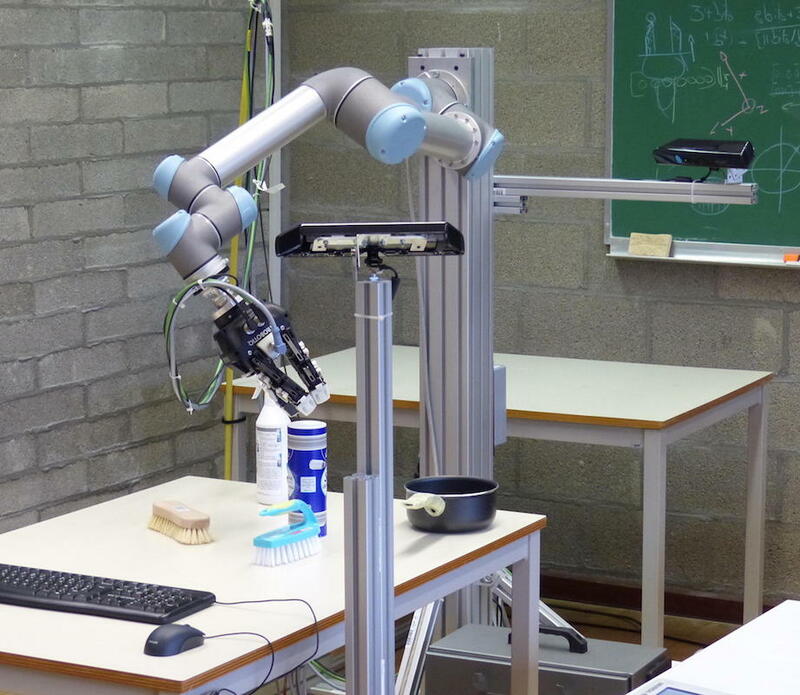 New robotics course this semester at the University of Liège! 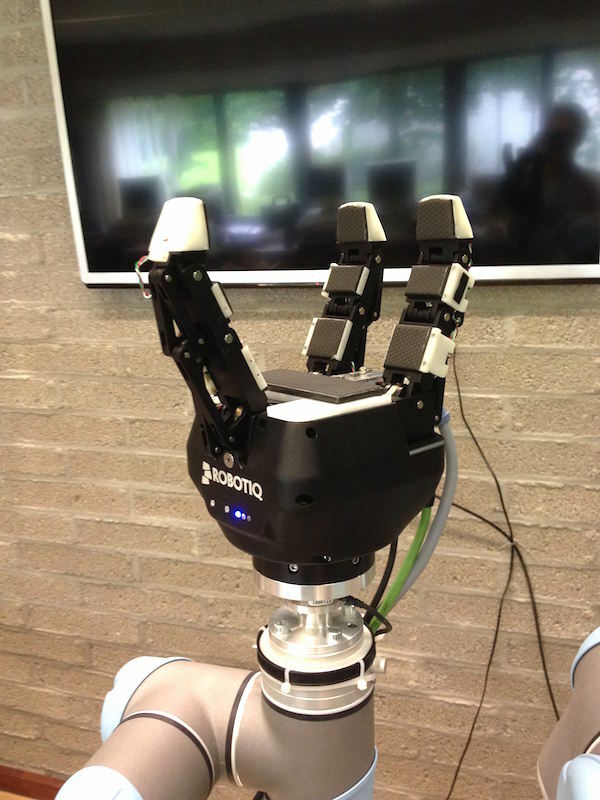 Join us at our workshop on cognitive systems (CRS 2013) at IROS. If there is an issue that you would like to discuss during the panel discussion, send it to us and we'll try to bring it up. See discussion questions on the CRS webpage. New video on part-based grasp transfer! Check it out here.